London - Chelsea eased the pressure on under-fire boss Maurizio Sarri as Callum Hudson-Odoi's influential display and sublime strikes from Eden Hazard and Ruben Loftus-Cheek sealed a 3-0 win over Brighton on Wednesday. Hudson-Odoi set up Olivier Giroud's first-half opener and Loftus-Cheek provided the assist for Hazard's superb second. 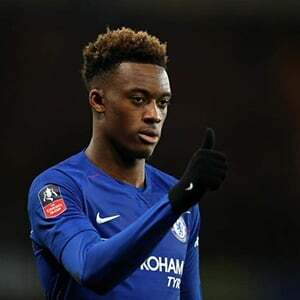 Hudson-Odoi was one of seven changes, with Hazard and N'Golo Kante returning after being rested in south Wales. The 18-year-old's fine performances for England recently shone the spotlight on Sarri's decision to use him so infrequently. It was Giroud's first Premier League goal since November and his 11th in all competitions, rewarding Sarri's decision to pick him instead of the misfiring Gonzalo Higuain. Rising to meet Jorginho's cross in the second half, Hudson-Odoi showed impressive strength to get in front of his marker but could only head straight at Mat Ryan.